I have written, on this blog, about a lot of the stuff we have made and the places we have gone, but I recently realized that I haven't written a lot about the stuff we do everyday. The stuff we do when we don't have a project planned or a place to go. The stuff we do on a rainy afternoon or a quiet morning at home and those are things that are important to our childhood list. The things we do everyday are most likely the things my kids will remember when they look back and remember. So for the next few weeks I am going to be working on a series of posts about what we really do all day. So for my first post: play dough. 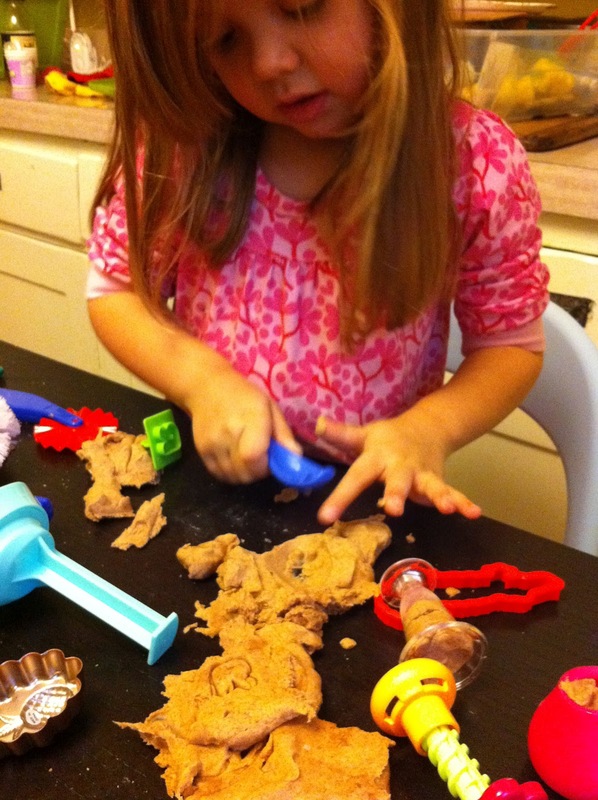 Play dough is something we play almost everyday! Both girls like to play and there are so many possibilities that they never really seem to get bored. 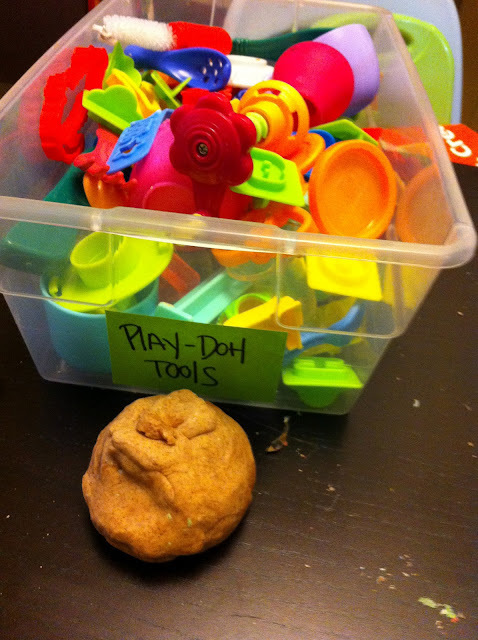 I usually make the play dough, using our favorite recipe and we keep a plastic shoe box tub of play dough tools that we always get out when we are playing play-dough. In the tub we have some cookie cutters, plastic knives, forks and spoons, plastic straws as well as some clay tools that the girls got one year for the holidays. We also sometimes use plastic tea cups, glass marbles, muffin liners and little plastic play plates. The only rule is that the play dough has to stay on the table (although, honestly plenty still ends up on the floor, but probably less then would if I didn't say that.) The girls mostly like to make pretend food, pancakes, spaghetti and tea are among their favorites. Sometimes they build crazy sculptures or experiment with different tools. 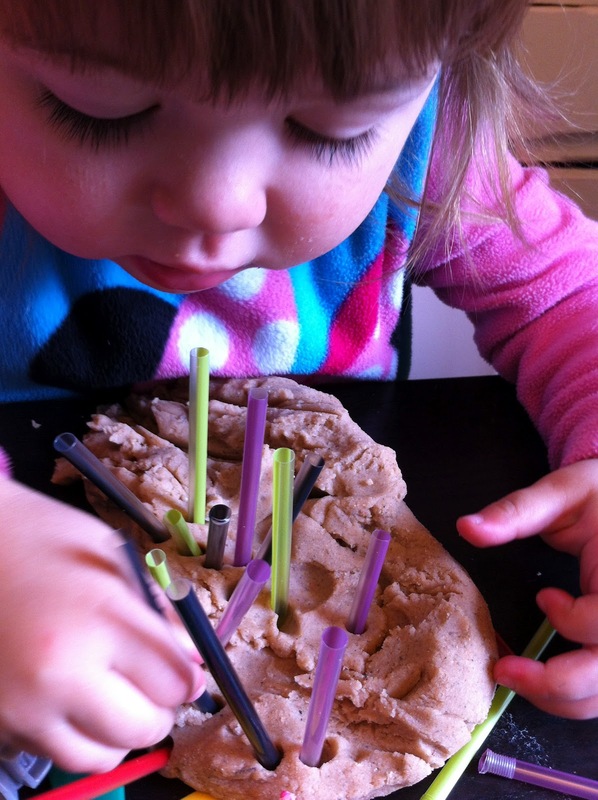 Do your kids like play dough? What is their favorite play dough activity?